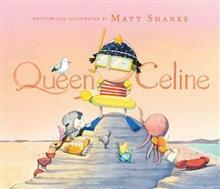 A funny, eco-friendly, politically-relevant picture book by super-talent Matt Shanks. Celine Beaufort was an ordinary girl. She did ordinary things, On ordinary days, In ordinary ways. But every now and then, Celine was a Queen, Of a kingdom by the sea. Celine Beuafort is queen o... read full description below. 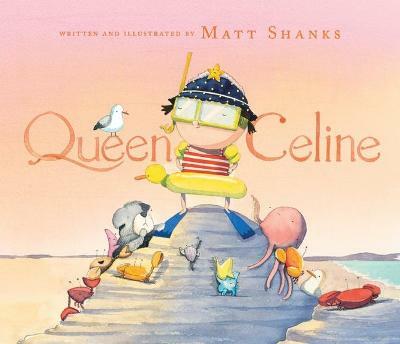 A funny, eco-friendly, politically-relevant picture book by super-talent Matt Shanks. Celine Beaufort was an ordinary girl. She did ordinary things, On ordinary days, In ordinary ways. But every now and then, Celine was a Queen, Of a kingdom by the sea. Celine Beuafort is queen of what she is quite certain is the most beautiful rock pool in the world. It's perfect. And to make sure nothing ever changes, she decides to build a wall around it. Unfortunately, that turns out to be a royal mistake. As self-proclaimed ruler, it's up to Celine to right her wrong and restore her rock pool to its former glory. Matt Shanks was born in Sydney and now resides in Melbourne. Sandwiched between the bush and beach, the inspiration for his short stories comes from a love of his unique country. His early fascination for the combination of words and pictures saw him complete a Bachelor of Design at the University of Sydney in 2003. It took him 10 years while working as a Creative Director at some of Melbourne's best design agencies to realise that this `watercolour hobby' of his needed to be shared with more than just his wife and cat. He has written and illustrated books for Scholastic and illustratedJackie French's Koala Bare with Harper Collins.